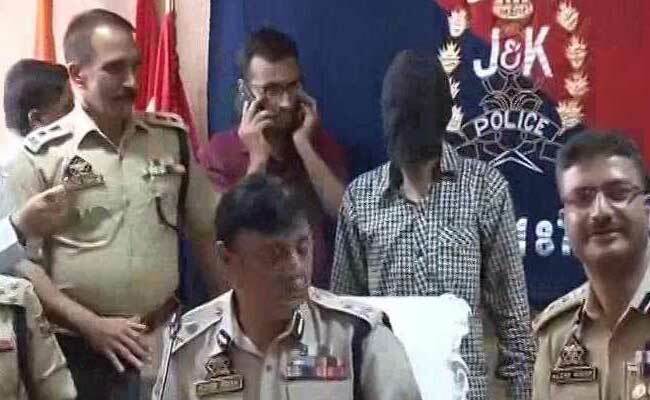 Sandeep Sharma, who also goes by the name Adil, had Muzaffarnagar in 2012 and told his family that he was earning Rs 12,000 per month in Jammu. His father died in 2007 and his brother is a taxi driver in Haridwar, police said. Muzaffarnagar: The mother of Sandeep Kumar Sharma, who was arrested by the Jammu and Kashmir Police for being a Lashkar-e-Taiba (LeT) operative, says her son should be punished if he is a terrorist. Sharma's mother Parvati and sister-in-law Rekha were interrogated by a team of the Uttar Pradesh Anti-Terrorist Squad (ATS) and released from custody late last night, police said. "If my son is a terrorist he must be punished. Due to his actions we are facing problems and shame," Ms Parvati told reporters in Muzaffarnagar after being questioned by the police. Both Parvati and Rekha work as domestic workers in the district. Police officers have been deployed at his residence and are keeping a close watch on the family.